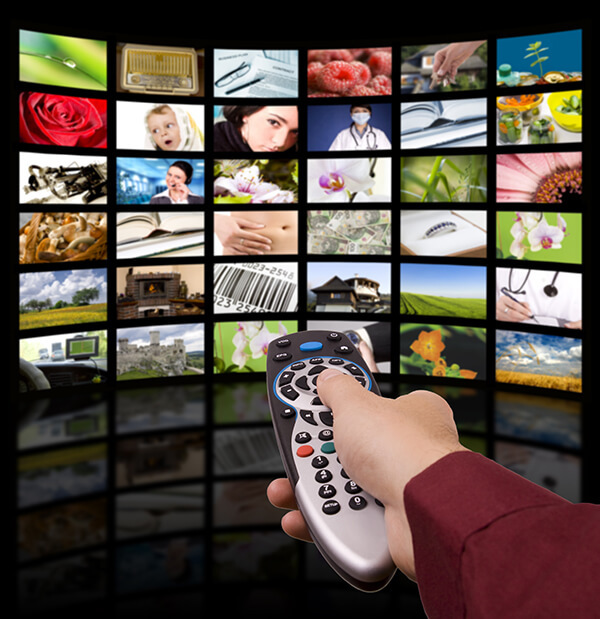 Example #1 – You have one Foxtel box in your household and would like to access provided channels on all of your existing TVs. 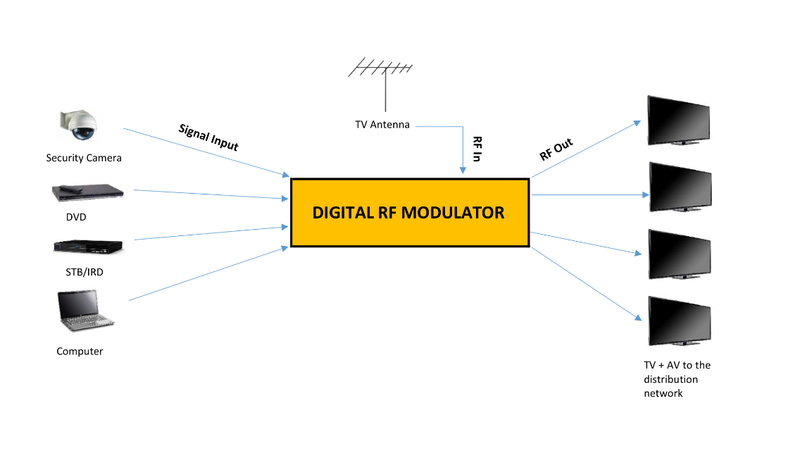 The original signal from a DVD player, computer, camera or PayTv receiver will need to go through an encoding device called Digital RF Modulator. It converts initial signal format from the source, such as HDMI or Composite, to Digital Radio-Frequency signal (RF). This conversion does not affect signal/picture quality. The signal is further distributed to multiple displays though a network of coaxial cables. See the diagram below. To create a steady network for signal distribution you need to make sure all components are of high quality and properly wired. Sydney Antennas technicians use commercial grade equipment for all signal distribution system installations. They will design the most cost efficient, yet reliable set up based on your requirements. Ask our knowledgeable technicians for advice on the system during your house construction. This will save you time and money and make it possible to run cables in wall cavities to all desirable locations.